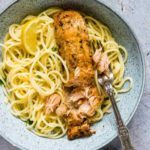 This Lemon Butter Salmon Pasta is quick, easy and simple and perfect for brunch eats and quick weeknight suppers. So the kiddoes are back at school which means that I have a little bit more free time to get my girlfriends around for a catch-up and natter over longish leisurely brunches. 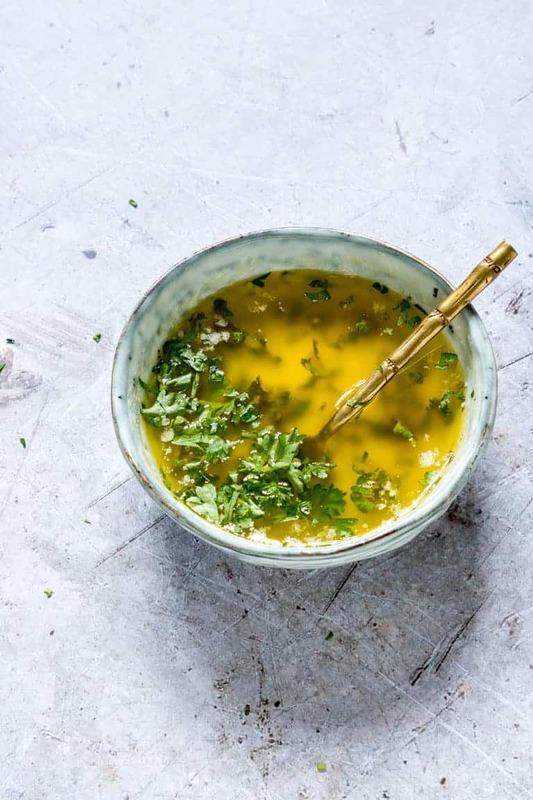 I do want to spend less time cooking and more time chatting so am looking for quick and easy recipes, that are also filling, nutritious and loved by the whole family. 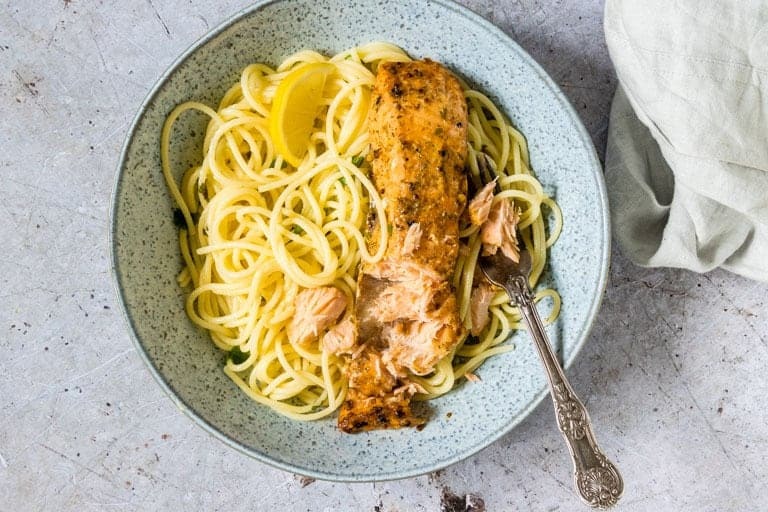 And guys, this awesome Lemon Butter Salmon Pasta is the answer to all those needs and a firm favourite in our easy brunch recipes (and quick weeknight supper) list. 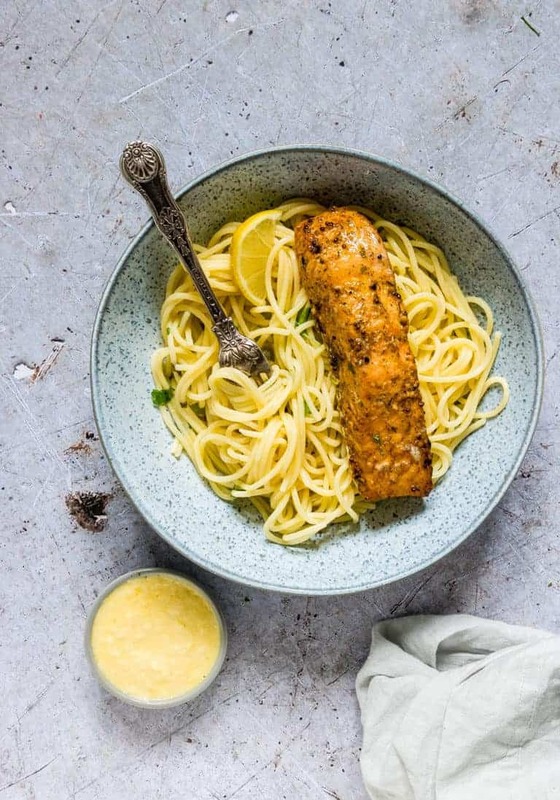 This Lemon Butter Salmon Pasta is ready in less than 30 mins and requires minimal ingredients ….nothing beats that right? Not only is salmon full of flavour, it is also full of important health benefits. 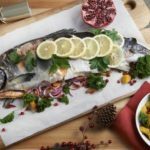 Salmon is considered to be one of the most nutrient-dense food sources available. 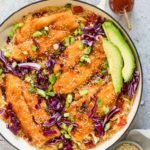 This is because even though there is a low amount of calories in salmon, it provides a large amount of heart-healthy fats, vitamins, minerals and protein. And eating salmon has been shown to improve bone health, enhance eyesight, promote heart health, and boost brain function. 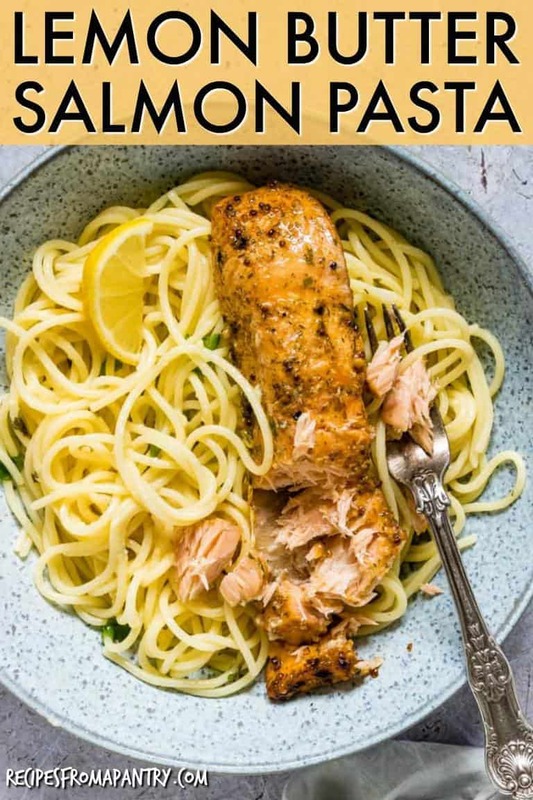 This Lemon Salmon Butter Pasta recipe combines all of these great health benefits into one truly delicious dish. Talk about a win win! It is no wonder that salmon is categorised as one of the superfoods. Add the salmon and bake in the hot oven for 27 mins. Cook the spaghetti according to packet instructions and set aside. Make the lemon butter sauce (see below for instructions). Serve the salmon over the pasta with the lemon butter sauce drizzled on top. To learn just how quick and easy it is to make delicious Lemon Butter Sauce, check out the step-by-step instructions included in this post for 5 Mins Lemon Butter Sauce 3 Ways. 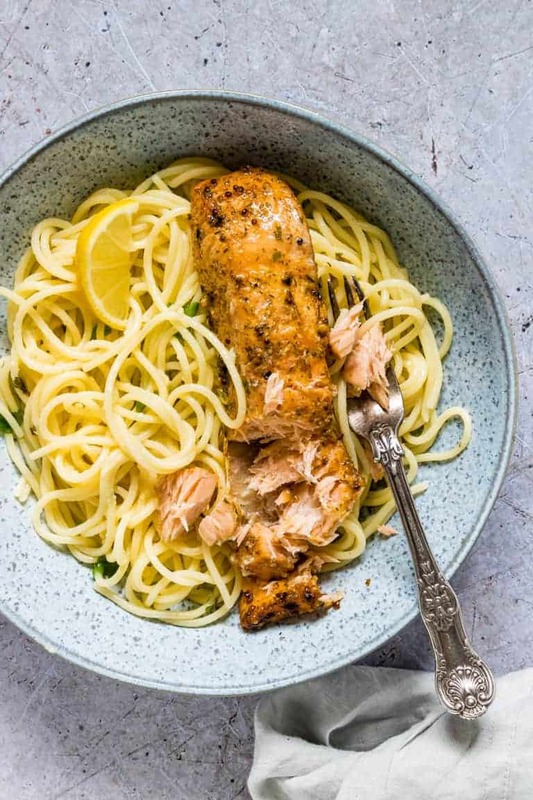 If you have it, feel free to use leftover cooked salmon when making Lemon Butter Salmon Pasta. This recipe is equally delicious made with cod or prawns instead of the salmon. You can easily swap the spaghetti for other pasta like fettuccine, capellini, or rigatoni to suit your taste. Mixing in some lightly-cooked cherry tomatoes adds an extra lift to this recipe. The great thing about whipping up this creamy salmon pasta is that even though it is a complete meal in itself, you can serve it with other veggies to add even more flavour and mix things up a little. Apple and Salmon Fish Cakes. Thank you for reading my Lemon Butter Salmon Pasta recipe post. And please visit again as I continue dreaming up recipes, traditional African recipes, African fusion recipes, Sierra Leone recipes, travel plans and much more for you. Thanks for reading Recipes from a Pantry, UK food blog. Don't forget to tag #recipesfromapantry on Instagram or Twitter if you try Lemon Butter Salmon Pasta! It is really, really awesome for me when you make one of my recipes and I'd love to see it. You can also share it on my Facebook page. Please pin this recipe to Pinterest too! Thank you for reading Recipes from a Pantry. Preheat oven to fan-assisted 150C / 170C / 375F / gas 5. Bake salmon in the hot oven for 27 mins. 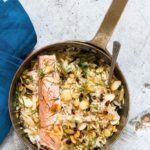 Feel free to use leftover cooked salmon in the recipe instead. You can use other Saucy Fish Salmon products instead – they all work great. The great thing about whipping up his creamy Salmon Pasta is that you already get a complete meal in itself but you can serve it with other veggies and more to mix things up a little. We love salmon on weeknights too because it can be cooked in under 20 minutes. 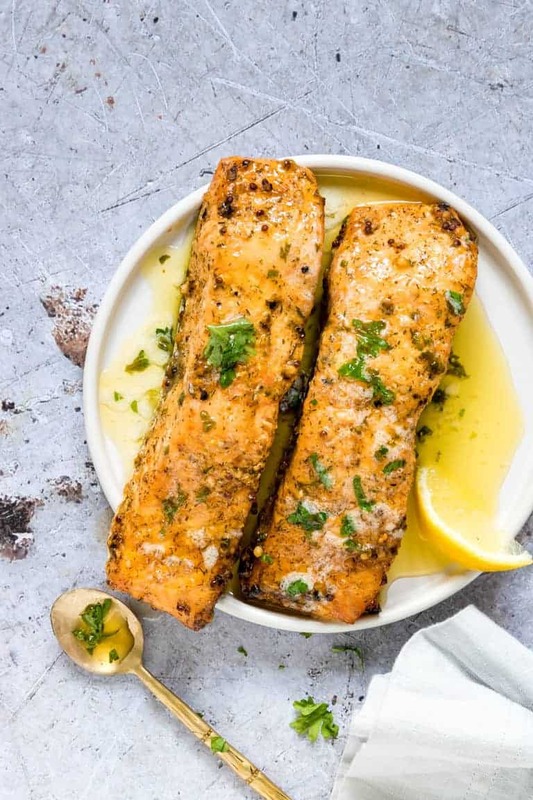 The lemon butter sauce with the salmon looks so tasty. Can’t wait to try this recipe. This sounds so flavorful and easy to make! Definitely a weeknight winner dinner! after looking at that photo I am wishing for salmon what a perfect meal and salmon is my favorite seafood dish!